All my beautifully soft cashmere is made in Mongolia, known worldwide as the ‘Land of the Blue Sky’ home to the finest cashmere. 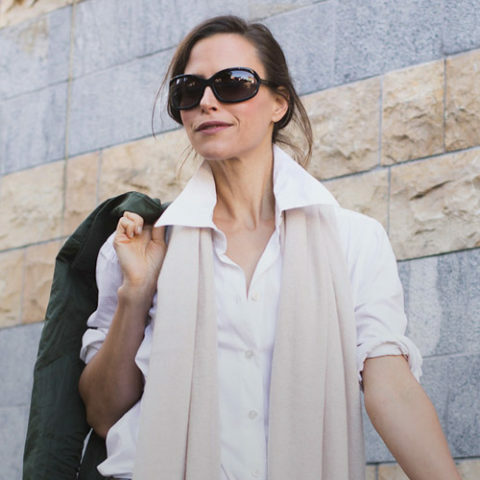 Soft, muted colours perfect for every day; timeless and versatile. "What a wonderful surprise, I received yesterday, when I opened my front door. 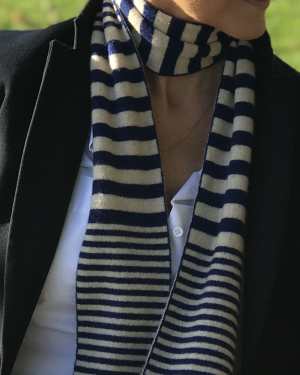 The Catherine Robinson scarf is beautiful! The crystals show so well on the black scarf. The designer writes, that she wants the customer to feel as if you are opening the box, as a "true" gift - She has succeeded." I am delighted with the wrap as you said I would be! Thank you also for all your kind help and very personal service. Wow! Just received my order (excellent prompt delivery), and I love my beads. Overall I am mightily impressed by the whole package from ordering on line, communication, packaging, delivery and the sweet thoughtful personalised message. Thank you. You brightened my day and I am now parading round in my beads!! Dog and family not impressed! My cornflower blue cashmere wrap arrived yesterday. It was so beautifully and luxuriously wrapped. The quality is great, looking forward to wearing it. My only problem now, I want the wraps in most of the other colours available! I would just like to thank you for my lovely vintage rose poncho I received last week. The packaging and scent were also a lovely touch. I can see it will be worn a lot. Catherine, many greetings from Prague. Thank you very much for the poncho. It is wonderful and made me very happy. I'm looking forward to wearing it. A beautiful robe - nice long sleeves, excellent length. Definitely lived up to its description. I received my wrap today. I have been umming & ahhing over this for a long time. I shouldn't have. The quality is outstanding. It's truly gorgeous. The delivery service & packaging are brilliant too. Beautiful poncho and absolutely gorgeous packaging. Was sorry to take it out of the box - pity it was for myself! Loved the smelly hanging thing! Now hanging in my bathroom. Thank you perfect product and service. 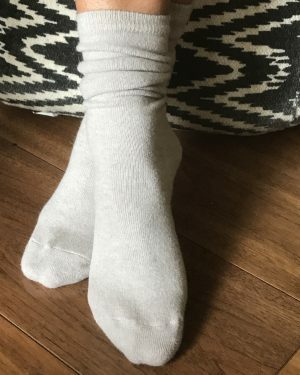 Lovely soft socks, great quality and really well presented. Prompt delivery too. Very happy. What a marvellous little gadget this is, much better than the battery operated ones. It would pop in your handbag too. Fantastic, promo service, too. Many thanks. I just wanted to say thankyou so very much. What an experience to open that box. It was just amazing! Thankyou for making it so special. Quality fantastic! Quick service. Beautifully packed.. The best cashmere socks I've ever purchased. Sublime customer service and divine cashmere products. Thank you. Many thanks for your superb service, yet again. 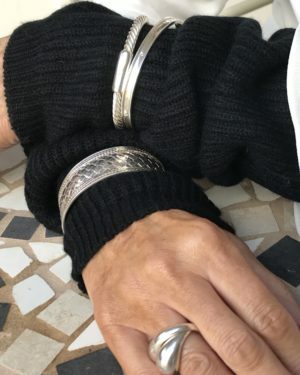 A very high quality Cashmere Wrap, beautifully made and finished. The color and feel are exquisite. What a delight to open such a wonderfully boxed/wrapped item. 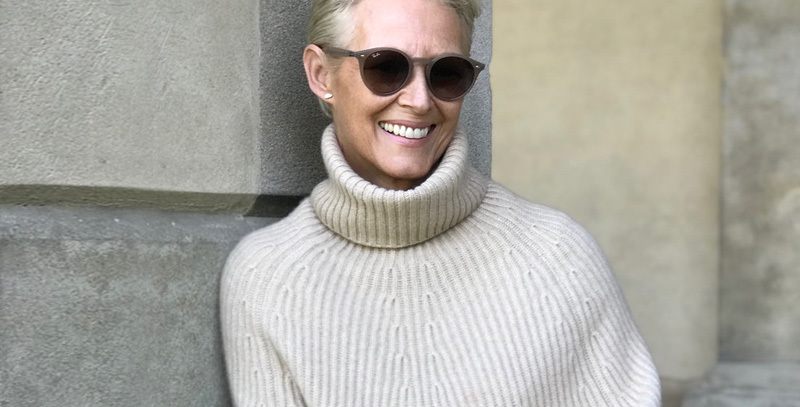 Thank you Catherine Robinson, I will highly recommend your Cashmere to my friends, and I will purchase from you again. Excellent packaging and very prompt delivery - Thank you. Thank you very much for the parcel. Beautifully wrapped, amazing scent, handwritten greeting card, everything is beautiful. I am very happy with everything! Too much thanks! I've received everything! And I'm exploding from happiness! Every piece is just gorgeous! 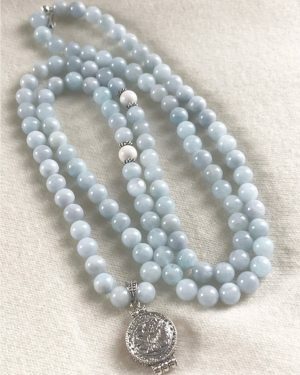 Especially the new superfine wrap and the silver mala bead make me totally excited! This is magic! 🙂 Thank you very much for your personal notes - I appreciate it a lot! You're a sweetheart, Catherine - we love your product and clearly your exemplary customer service reflects the company as whole. Thank you! Very fast delivery, beautiful packaging. 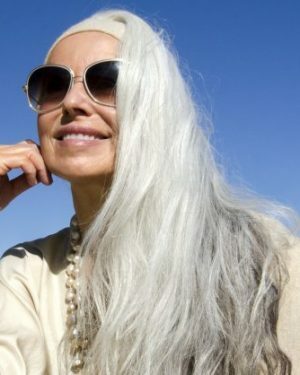 Catherine, I placed an order for a sky blue Cashmere poncho over the weekend. I have just received it. It’s not very often I am blown away by anything, especially nowadays when customer care is usually sadly lacking, but when I opened my parcel this morning I WAS BLOWN AWAY! I wanted to congratulate you on your packaging and finishing touches to the parcel, I honestly didn’t want to ruin it by opening it. The perfume from the clay disc is absolutely beautiful and hit me as soon as I opened the box. I can honestly say it made the rest of unpacking a real pleasure. The poncho is beautiful and will be a staple of my wardrobe over the coming months. Love the item - second one ordered in the past month. Delivery and service was great - packaging was exceptional. Really pleased with this purchase for my daughter's birthday. She is delighted with the colour, style and quality. A delight to wear. Appreciate the personal touch of handwritten card from Catherine. Will shop again. Arrived beautifully packaged and in good time. The balls smell gorgeous and are tucked up with my knitwear. Thank you! I received my socks today. Thank you so much! What gorgeous packaging, I don't think I've ever had a parcel so beautiful. The socks are stunning too, slide on like silk. You got a customer for life here! - Thanks again! Beautifully packaged. Very quick delivery. I feel I have to send you a message to thank you for my order received today. It is a special gift for a friend and I know she will be delighted. Your gift wrapping is absolutely exquisite . Thank you also for the extra gift. All so beautiful. Absolutely beautiful. And after contacting Catherine to request an earlier dispatch it duly arrived the next day. The cashmere is so soft and my wrap was beautifully packaged in tissue paper and tied with a bow, all inside a lovely gift box. Just perfect. Thank you. Opening your boxes is a very special event full of happiness - 'polished' with cute souvenirs, cards, flyers and lovely notes - THANK YOU SO MUCH!!! I'm completely excited about everything I ordered!!! 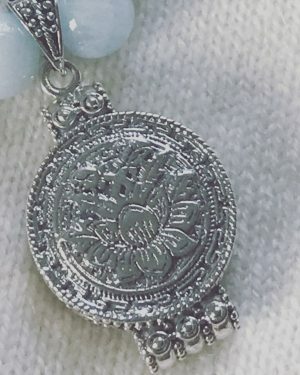 The mala beads are very nice - I'm wearing one today already 🙂 And the wrap is absolutely fantastic! I love it - what a colour! Excellent speedy service and product is superb. Thank you. 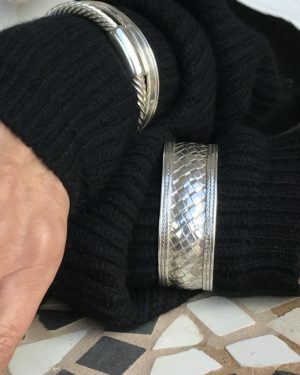 Thank you, all received and it is lovely - I knew I loved the colour, it is the same as a poncho I purchased from you several years ago - but I'm not sending it back as the wrap gives an added look! This comb is just fabulous. I read other reviews prior to my purchase and they were spot on. A simple, well priced exceptional product. Catherine, The poncho is here and its lovely, the care with the wrapping is exceptional. Thanks for the good service and good product. Happy to do business with you. The comb works a treat on my cashmere sweaters. Handy, small size to take for trips away from home and holidays. I just wanted to say how delighted I am with my navy oversized wrap. Not only is the quality fabulous, the service was also excellent: ordered Friday and delivered Monday morning. Thank you so much, I will definitely be ordering from you again! My poncho arrived today and am absolutely delighted with it. The packaging was beautiful and your communication and dispatch time was perfect. Thank you so very much. Oh I still love a parcel in the post...Especially when it contains a beautifully packaged Cashmere Wrap purchased from Catherine Robinson! Lovely sachets. Best I've bought! Wardrobe and clothes smell so fresh. Just ordered my 3rd lot for packing my summer wardrobe away. Also bought the spray fragrance to freshen them. Beautiful Cashmere Socks...great to wear on a long haul plane. The presentation of them was so lovely, they’d make a fantastic present. Thank you. I’m just back home and found your beautiful package. Many thanks for your kind attention and it smells extraordinary! Catherine, I received my beautiful pink wrap. It is absolutely beautiful. It has now become one of my classics - Thank you. My wrap has arrived, It’s absolutely lovely. Thank you for your excellent service and beautiful packaging. A most beautiful olive green . An excellent product. I now have 5! Outstandingly warm socks and I'm about to order another pair. 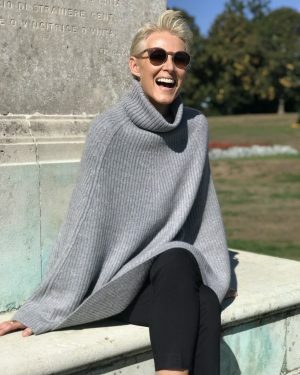 Catherine's cashmere ponchos are beautiful, quickly delivered in a beautiful presentation box and for a personal touch she inserts a hand written thankyou card. Also as another thankyou she inserted into my package, with a lovely scented wardrobe ceramic disc, which I have hung beside my wraps, leaving a lovely perfume every time I open the wardrobe door. These are all lovely and personal touches which will make me go back to purchase more from Catherine. What a delight to come back and find your package on my desk! I feel like a child at Christmas! First, the beautiful package, the wonderful smell and then the actual “gift(s)” - my grey wrap and onyx mala beads. When I see your name and products – they make me so happy! Thanks again, I love your products! Beautifully packaged again, a real treat to open, and the drawer perfumer (which is included in the parcel) has a gorgeous fragrance. Thank you for the personal note included. The quality is outstanding. "Thank you today I received my first order of the smaller cornflower blue poncho — I look forward to the next package! 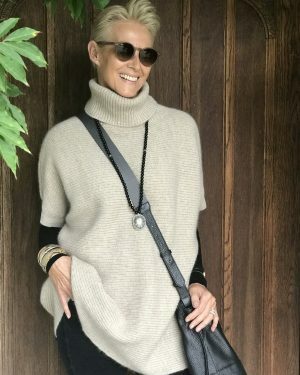 I’m becoming a poncho addict and your cashmere is quite divine"
My wrap has arrived, It’s absolutely lovely.Thank you for your excellent service and beautiful packaging. Phenomenal quality in all senses... stylish, elegant, beautiful great service, great packaging, fast shipment, kindness and gorgeous! I ordered a large wrap at the weekend, and it arrived yesterday. I really wanted to say thank you for packing it so beautifully - it was a pleasure to open! 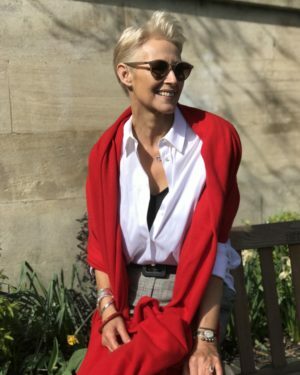 It is a spectacular wrap - I was looking for something to keep me warm at my Yorkshire wedding mid-November on the short walks between the town hall and the reception, and this is just perfect! Very impressive personal service in a world where for some that doesn't seem to matter anymore, I certainly did appreciate it! Well you just nailed it! It is a delicious gift. When I received the delivery I was at work and I quickly dived into the first brown cardboard box. I reached the white box and I lifted the lid. Then I closed the lid, gently slid it back into the cardboard box and bundled the three boxes into my car. When I arrived home I opened a bottle of wine, turned on a little music and, with wanton delight, pulled the white boxes out once again! Oh my, it was the best Thursday night date I’ve had in a long time. 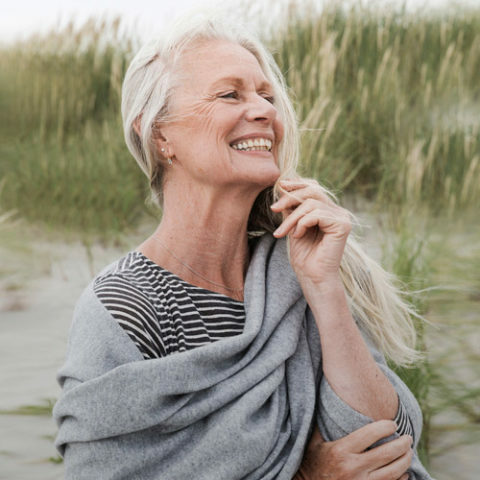 I think women everywhere need to know about your cashmere! The wrap arrived prior to delivery date. Beautifully wrapped and it was a pleasure to take this lovely cashmere wrap out of the box. What a beautiful presentation!!! It is actually a gift for my best friend’s birthday, so I didn’t open anything. But the presentation is just beautiful and classy (very much like my friend, actually), so I know she will love it. Thank you for making such great products — since I know the cashmere will be as fabulous as the packaging! What a wonderful parcel I received yesterday! Cardigan is so very nice! I felt like a child under the Christmas tree unpacking a present...Million thanks to you dear Catherine! I wanted to tell you how delighted I am with my recent purchases. 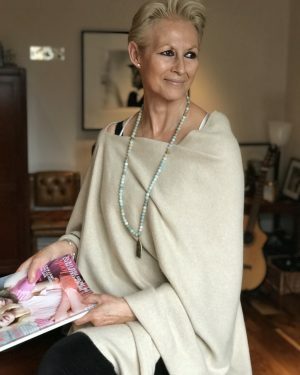 We have just returned from a fabulous break in Santorini and I had ordered the classic wrap in coral for the cooler evenings. It was just perfect! Also the camel poncho I ordered yesterday has already arrived and it is fabulous, thank you! I can't wait to wear it! 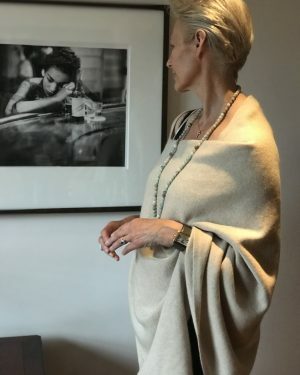 Receiving Catherine Robinson´s cashmere poncho´s is an experience! Delicate, elegant and exquisite presentation and heartfelt custom service. Impecable! what a gift! Fantastic! I would definitely purchase from again. Item arrived much earlier than expected, thank you. It was such a pleasure when the postman delivered your stunning packaged cashmere. Thank you! Delighted with service and poncho is perfect. A really good weight of cashmere. 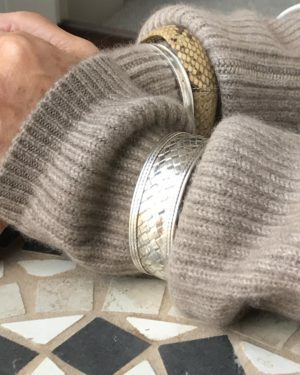 I have just received my beautiful light cream wrap...it is far more special than I imagined and is perfect for a May wedding. Your packaging is also beautiful like you I like to take time over wrapping special gifts. I will be back! Thank you. 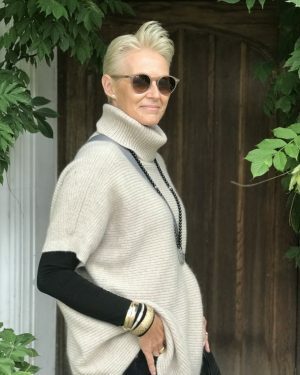 I ordered two cashmere wraps from Catherine Robinson and I was over the moon with the wraps, Catherine Robinson contacted me directly to double check my order and she was extremely helpful. Amazing service and the packaging was very nicely done, I would have no problem ordering more. 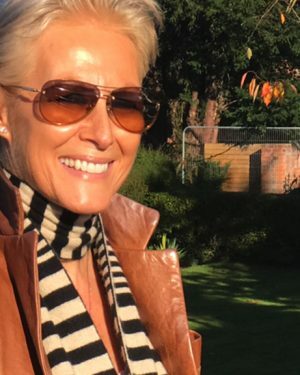 Catherine, your BEAUTIFUL poncho has just arrived - it is just what I wanted, thank you! Also congratulations on your most beautiful packaging! I paint china and watercolours and so appreciate "style"! You most definitely have it! Beautiful scented sachets, beautifully presented, will definitely purchase more items! First Class! Beautiful, soft. Looks fantastic while on. Will get another one soon. Extremely quick delivery, beautifully packed and superb item. I just have to let you know how thrilled I am with the wrap I purchased recently. It is a perfect size, colour and quality. The packaging was wonderful! I will definitely return. I must thank you for my beautiful Pink Poncho, and in a beautiful packed box. I am so looking forward to wearing it on the cruise and will have great pleasure in telling people where I bought it!! Like the lovely lady who told me your details, Thank you again. 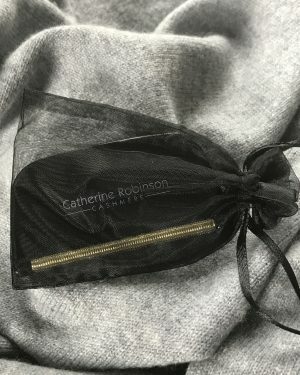 I received the most beautiful package from Catherine's cashmere collection! It was like Christmas in September. My order of cashmere socks came in a timely fashion. The order was perfect. The socks are just lovely and ever so soft. It almost makes me want winter. Everything processed perfectly for my order to the US. 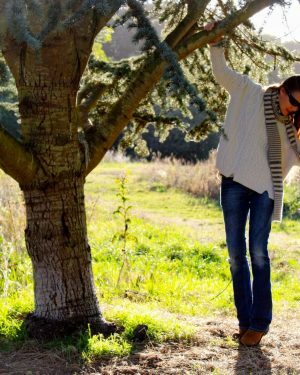 I can't wait for my next shopping at Catherine Robinson Cashmere. My poncho arrived before the estimated delivery time, in a beautiful box, with a hand written card and a lovely wardrobe hanging scenter. I strongly recommend the company, Catherine Robinson. Thank you. Today I got my poncho and it is soo beautiful!! It will be perfect chilly Swedish Summer nights. Thank you so much, I will be back when I need another one! I have to say being in the business of presentation and marketing, What a beautifully wrapped and presented product! Pure quality, I will definitely buy from you again. Excellent, speedy service; product packaged beautifully. I am so happy with my purchases, which are luxurious and of amazing quality. The presentation/packaging is beautiful; a pleasure to receive. 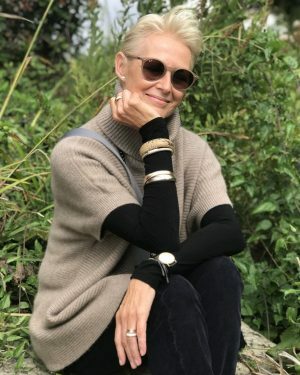 I just wanted to thank you so much for my sweaters (beautifully packaged!) and also the scented sachets. I'm delighted with all my purchases and look forward to ordering more in the future! Excellent quality, fast delivery and excellent gift wrapping! My poncho arrived, and I could not be happier! It's stunning, it's perfect! It's truly gorgeous. 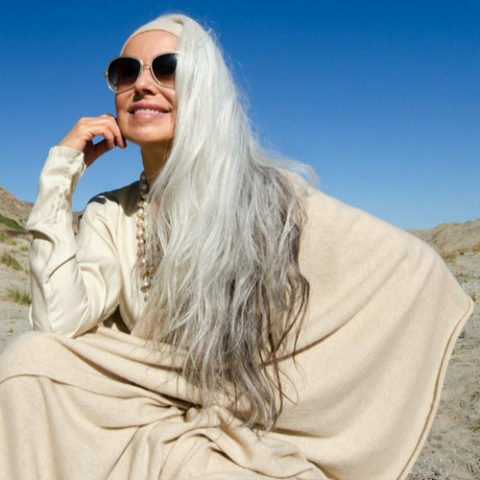 A friend of mine is ordering it in ivory -- and I will show my daughter the poncho; she'll absolutely want one. And I want more! Perfect cashmere. Perfect Packaging, as always. Outstanding service by Catherine herself. Ordered several times now and would not hesitate one second to order again. 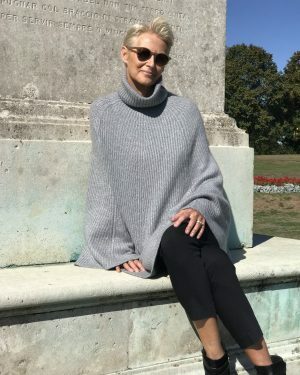 Beautiful cashmere poncho. Lovely colour. Thoughtful personal handwritten message and scented ceramic insert. Have a feeling it won't be my last purchase from Catherine Robinson. I thank you so much for the awesome box with the wonderful Cashmere Oversized Wrap. 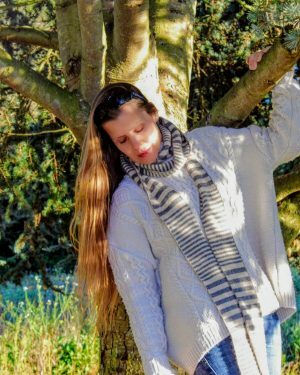 I am very happy with it and your wish came true: opening a CR Cashmere Box is a true gift!! I really appreciate your lovely handwritten card, the perfumed stone and the comb - Thank you so much for these lovely presents. Your philosophy is just great and it is always a pleasure shopping at your online shop and most of all receiving the parcel. 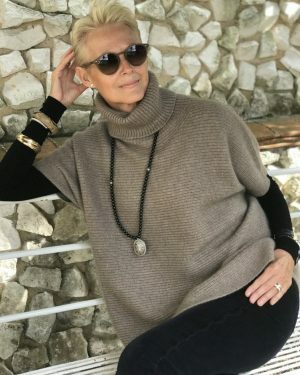 I received the grey cashmere poncho and I adore it! Beautiful color, beautiful quality everyone who sees it asks where I got it from and I think there will be some more orders from Switzerland! Also the wrapping, the box, your handwritten card, the scented bags: very tasteful and very high end. Thank you. I have received my fabulous wrap today and I couldn't be more pleased! Such beautiful packaging and fabulous quality. I bought this as a present to myself for my 60th birthday this weekend and it will be travelling with me to Stockholm for my treat weekend! "I have just received my parcel -I could not unwrap it because it is a present but I opened the box and ... Wow! The ribbon, the tissue paper, the elegant comb - and this lovely smell of fresh clothes which suddenly pervaded the room. And what shall I say about the personal handwritten note and the extra card added to write my own message to the recipient of this amazing present! I am one of those who believe that offering a gift is offering an experience of love and care, more than just a mere object. I can see this idea beautifully expressed in the passion you have given to my parcel - my friend will be amazed just like I am now." 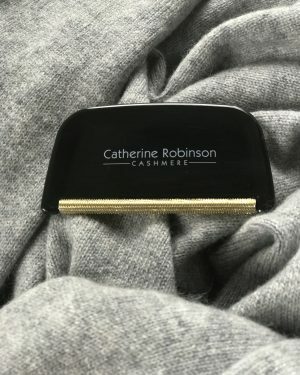 The Catherine Robinson Cashmere comb arrived very promptly and works does a very good job. Lovely item, great quality and fit. Really pleased will buy more. Outstanding quality combined with a (literally) warm personal touch - it doesn't get any better than this. In a world where everything is automated and cold, it is wonderful to see that Catherine understands what customers long for: care. Care from product to packaging - she puts her soul into every single detail. This is precious these days and will go a long way. Thank you. I just wanted to say thank you for your wonderful parcel. I love the cashmere wrap and really enjoyed opening the box!